This is a second life for Pete the Prince Nymph. This time it is a laminated business card with the tracking code displayed prominently on the face of the card and a message on the back. In the first life, this travel bug was a piece of paper inside a film canister, green body, yellow top, attached to an actual TB. I launched Pete the first time in Telluride, CO in July 2010. It disappeared sometime in 2012 after having logged 2,668 miles and 13 posts. I pulled back the travel bug number and relaunched Pete in GC4NN63, Lewisburg Bookswap Cache, in Lewisburg, PA on 20 May 2014. I guess there is some slim chance that the original might show up. 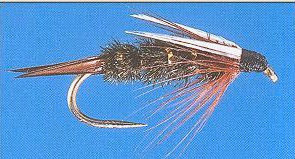 The Prince Nymph is a fantastic nymph pattern that fools trout all over the world. The pattern is credited to Doug Prince. The Prince Nymph is a universally productive quasi-imitation of an underwater bug. It looks alive, but different. In the natural world different will get you killed. It often ends that way for this fly. 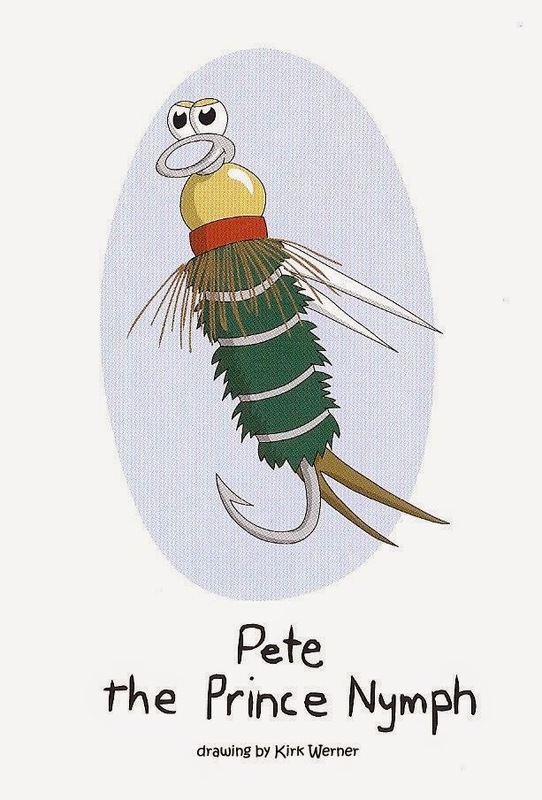 Pete is one of twelve characters created by artist Kirk Werner for three books designed to introduce children to fly fishing.